One Page WordPress themes have gained popularity recently due to their ease of use for the website visitor – if you don’t need a large complicated website they are perfect for concisely showing the relevant information that a site visitor may need. With a one page website you can include product and service details along with a description of your company and other details and also list your contact methods and other info that is required. These types of website will load faster and require less upkeep than a full regular websites and are suitable for creative agencies, small business houses, resume websites and local businesses to name a few. Most of the themes mentioned here comes with the option of multiple pages too, so you can modify your website in case the need arises. Check out our collection below – the themes we hand hand-picked in this collection are all easy to setup and customize with your company’s branding, logo and corporate colors. They are all created by solid theme companies so they will be fast loading, responsive, easy to setup and use and will also include customer support should you need any help to get started. 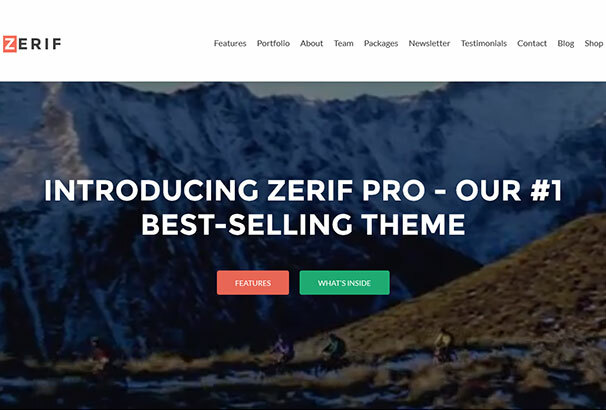 Zerif Pro is a stunning One Page WordPress theme for creative minds. With visually appealing layouts and robust features this theme has satisfied hundreds of clients. This super responsive design helps you bring out the best look of your site. Whether you view it on a mobile device, a laptop or a desktop, this theme looks equally stunning in all gadgets. The smooth parallax effect will surely help you captivate your visitors and make them come back to your site more often. Divi needs no description. It is one of the most powerful themes that you will find in the current WordPress market. Loaded with tons of amazing features, customization options and unique layouts this fantastic theme will help you build an advanced website without touching a single line of code. 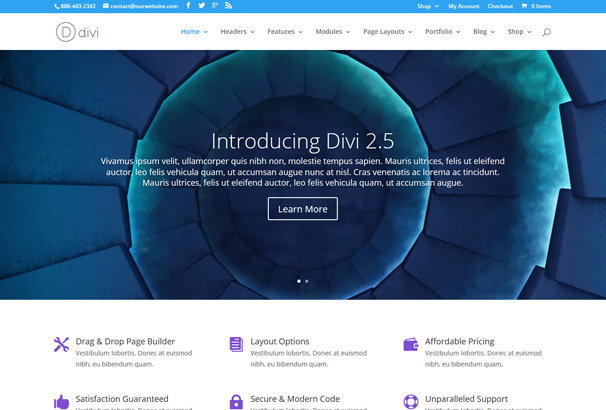 We can not deny the fact that with Divi, the sky’s the limit. 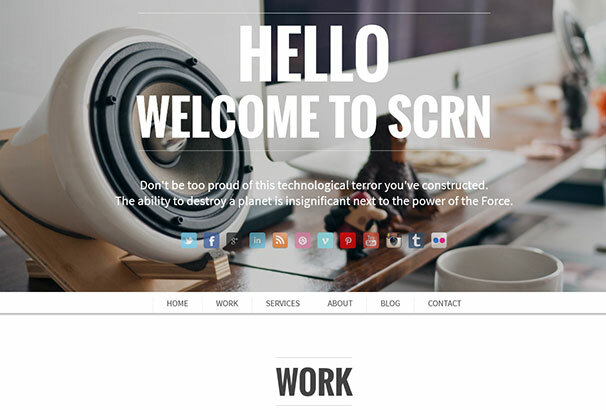 Scroller is a modern, clean and flexible WordPress Theme, that is perfect for all kind of websites. The theme is packed with multiple layouts, an extensive library of shortcodes, contact form and much more. The theme is easy to customize and offers tons of options to work on the looks of your site. The theme comes with great support and has been well documented. 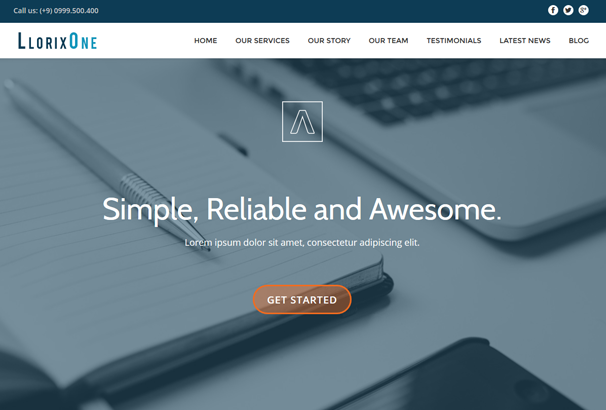 Single Page is a business landing page theme that will make your content load in a single page rather than in multiple pages. Compatible with latest WordPress versions, Single Page is good to goo with the layouts it comes with. The customization options, however, is an added advantage for you. 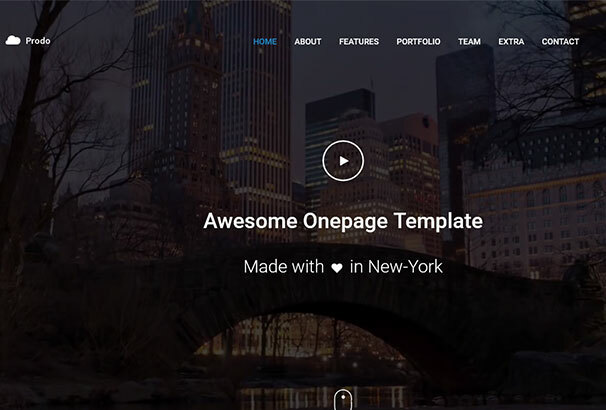 A super responsive and feature-rich theme,Onepage is one of the most good looking themes that you will come across. With lots of uniques layouts for blogs and homepage, this theme is an fantastic option, if you are looking for a single page theme for your site. This is another striking theme that deserves to be in our list of one-page themes. 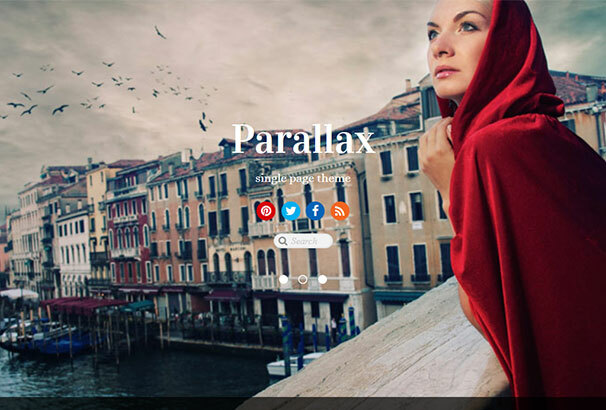 Just as mentioned in the name, this awesome theme comes with the option to add the parallax effect to your website. This will not only enhance the look of your site but will also help you attract more visitors. You can also launch the site with just a single click of the mouse. 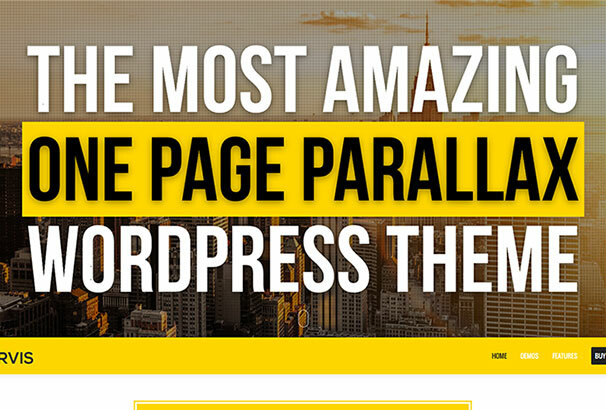 Parallax is a very appealing and engaging WordPress theme that comes with two awesome trends. One comes with the parallax scrolling option and another with the single-page design. This theme is a stunning option to make a fanciful display ofyour content to your visitors. The theme is definitely going to wow your visitors with its great looks. Another brilliant option comes from the Nimbus Store. Stacked with unique blog layouts, fancy fonts, robust parallax shortcodes and much more, this theme is a perfect theme for you to come up with a versatile site for business. It is a SEO equipped theme that has social sharing options, clean codes, picture friendly layouts, custom CSS capabilities and most of all top-notch security for your site. SKT White PRO is a $48 clean and responsive White WordPress theme that comes with an easy to use one page sections listed on the homepage. The features and the looks that you are getting with this site is worth every single penny that you are going to pay. Be it a photography site, a portfolio site, a travel, and lifestyle blog or a simple personal blog. 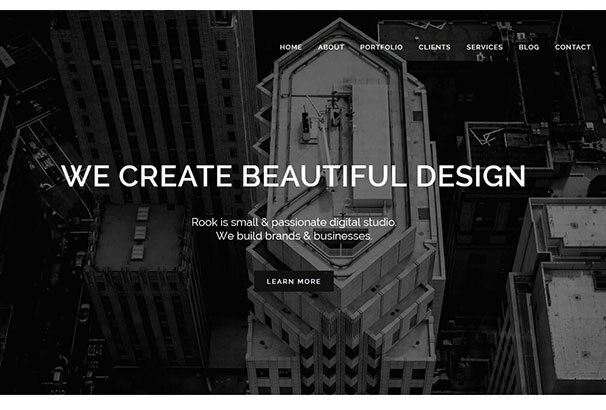 Lookbook is a single page WordPress theme that lets you display your work in the best possible way. The theme is absolutely responsive to gadgets of different sizes, so it looks equally stunning on your Android device as it would look on a Mac book. LoveBond is a perfect choice for those who are involved in wedding shoots, or event management covering weddings or engagements or other similar kinds of events. LoveBond can help you showcase your coverage in a grand style. It comes with all the advanced features that you might need for covering such an event. If you are into photography and you want to launch your photography site, you must surely have been looking for a nice theme that would reflect your hard work. In that case, your search ends right here. Photographer CV is a fantastic theme that will help you promote your work in the best way possible. It is a solid theme that will display the aesthetics of your work with a touch of professionalism. 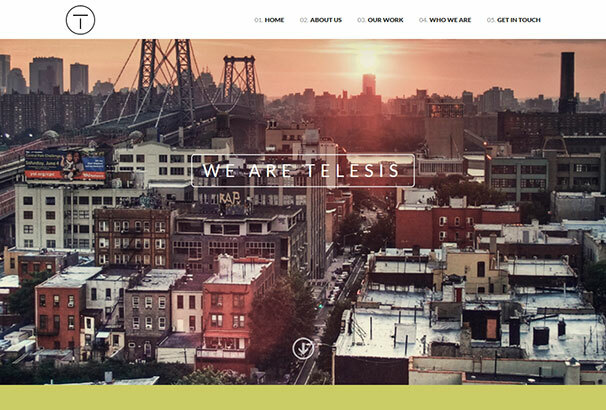 Telesis is a one-page WordPress theme for creative minds and professional. The theme is 100% responsive and comes with a fancy parallax effect to woo your visitors.You also get an advanced customizer that allows you to customize your site with your favorite color and font. Even though the built-in layouts are great to go, these customization options enhance the possibility to come up with a grand site. 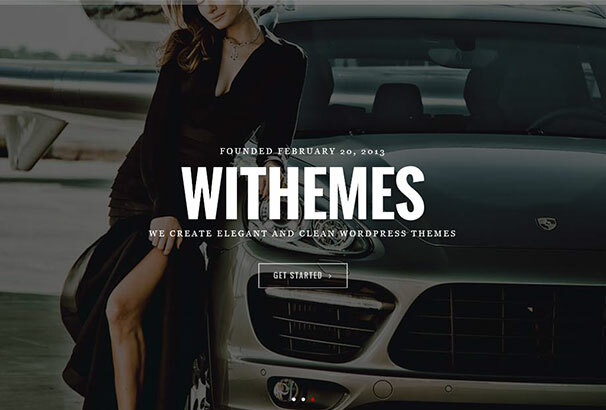 Themeisle is known for the amazing themes it has been contributing to the WordPress market. Llorix is another Themeisle product that is an epitome of elegance and simplicity. It comes with a great Theme Options Panel, awesome browser compatibility, amazing localization option and much more. 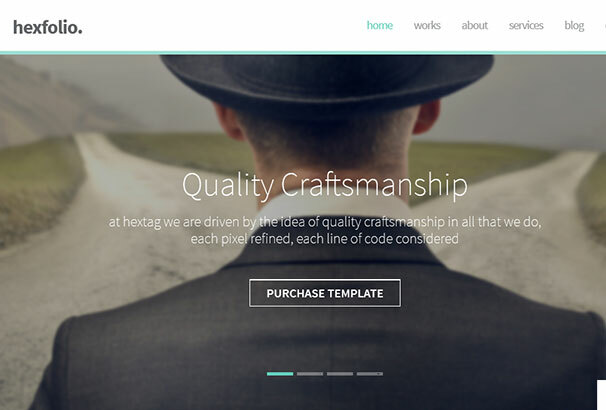 FullScreen is another very fancy one-page WordPress Theme for professionals. You can use it for any niche site including creative agencies, photography site or any other site. The theme is loaded with tons of amazing features that give you all the opportunities to turn your leads into sales. This theme is a perfect combination of great looks and stunning features. 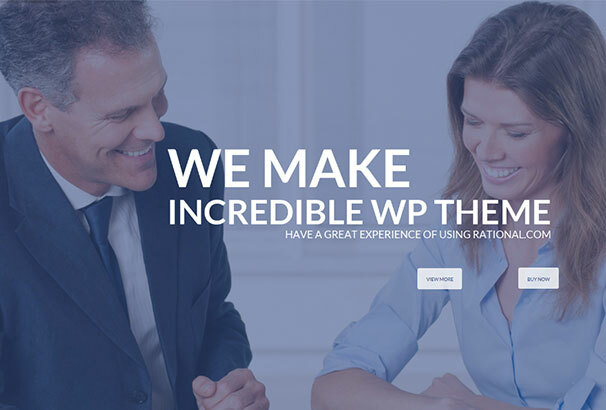 Rational is a clean, responsive and professional looking WordPress theme that can be used for all types of corporate sites. It comes with various smooth options to display your products and services. 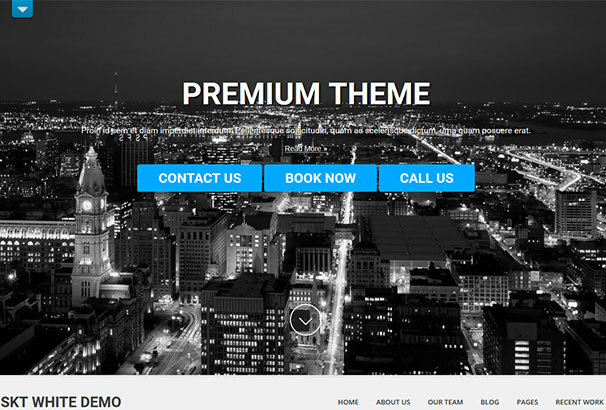 This theme will surely add great value to your site. 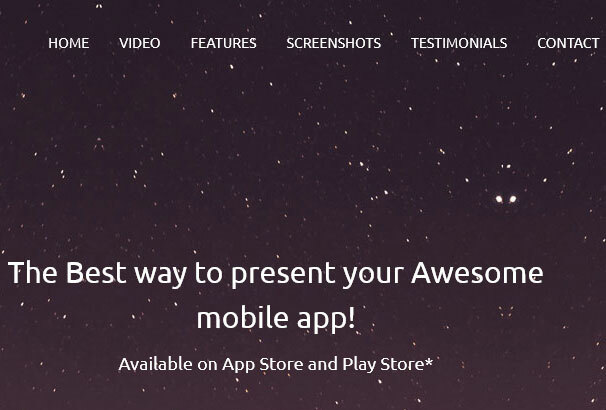 Space North is yet another responsive creative mobile app theme best for apps website. The theme comes with video compatibility, rich option panel, and great flexibility in terms of reordering the modules and tons of other options. Its SEO optimized comes with rich snippets that will help your site be recognized by search engines. 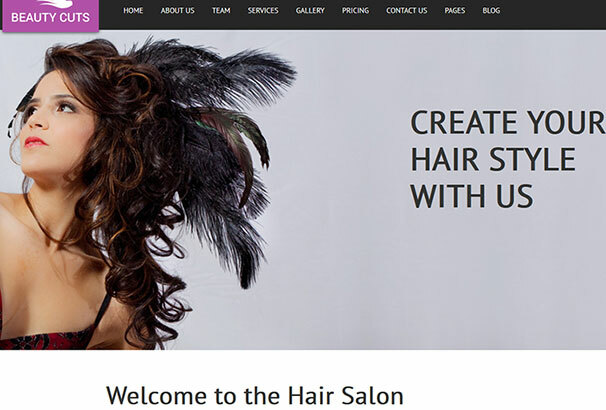 Beauty Cuts is stylish WordPress theme for hair stylist and Saloons. 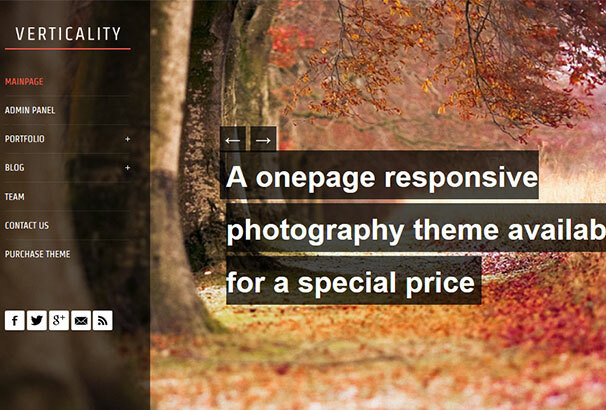 This theme comes with a lot of space to display your skills in terms of images. You can also showcase your team. It even allows you to add a map to show your location. This ensures your client can locate your parlor without any difficulty. 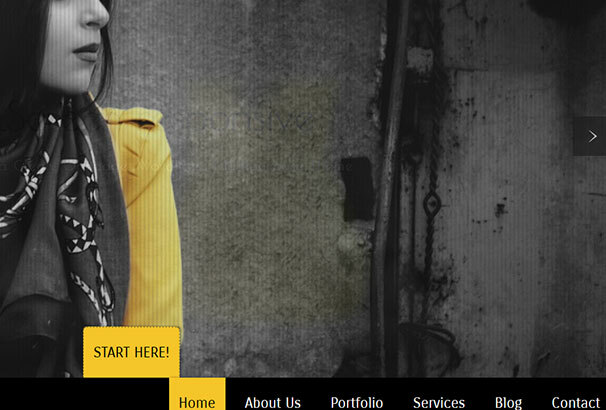 This is a high definition WordPress theme that comes with a very exciting look for your site. You can start selling your product from your site itself and turn your site into an online store. You also have the possibility to add a blog to your site. And surely you can have a great look for your website by adding the color, font and layout of your choice. Online CV is a Template Monster product that will help you create professional looking CV for your clients in no time at all. All you have to do is make a few clicks of the mouse and add your expertise. This theme is a modern, clean and advanced theme that is thoroughly responsive to all screen sizes. 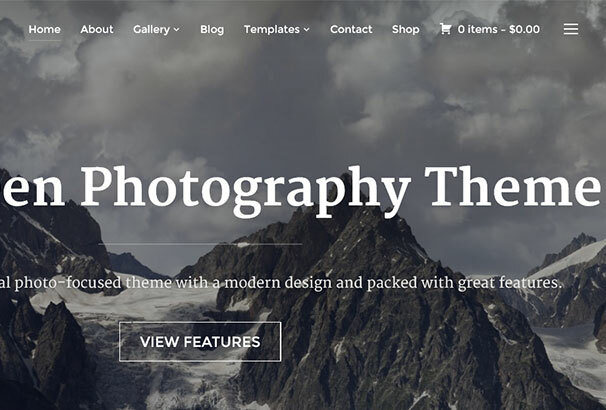 This is a SKTThemes product that offers amazing features. Tons of customization options, integrated social media icons on the footer, photo album feature, SEO compatibility and lot more. This theme is a powerhouse of tons of advanced features. 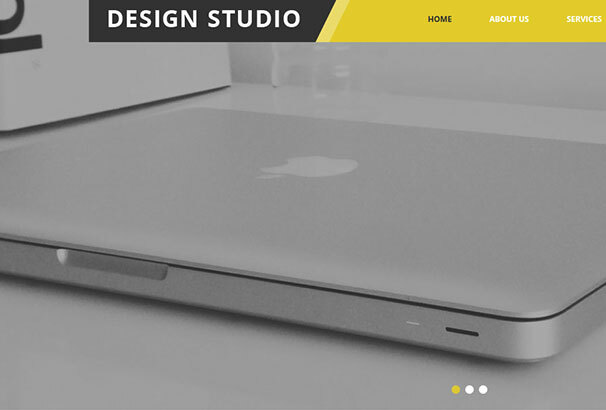 Design Studio is another brilliant WP theme with a highly responsive and retina-ready design. It is a great solution for professional portfolios that are integrated with a blog. Moonrise comes with excellent features and equally captivating design. This is a one-page website theme that offers you the flexibility to add a unlimited number of pages to your blog. 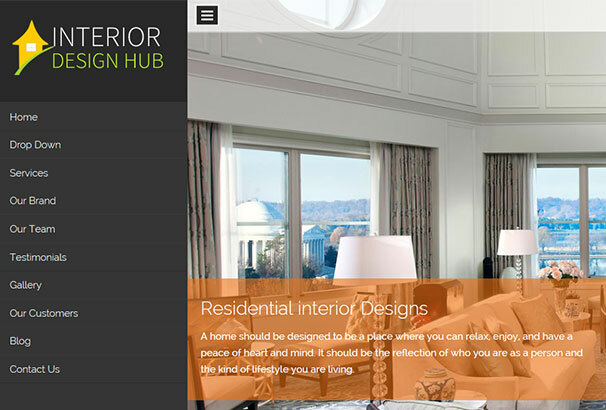 BlackWell is a highly professional One Page WordPress Theme that has been created specifically for interior designers. However, you can also use it for other sites like coffee shops, pizza shops, Taxi service etc. This is a perfect theme for sites dealing with digital art, game design, and web development. 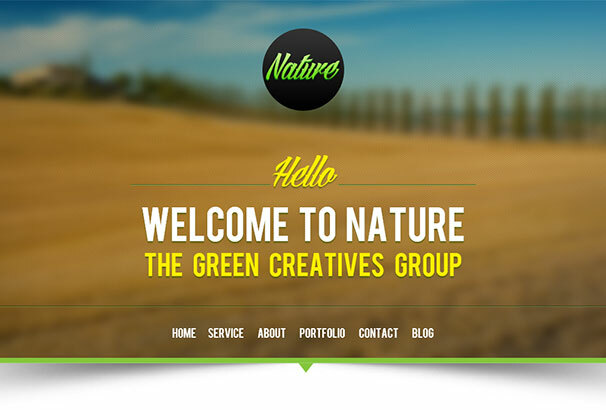 This theme is a super responsive one with feather-light design elements and modern features. 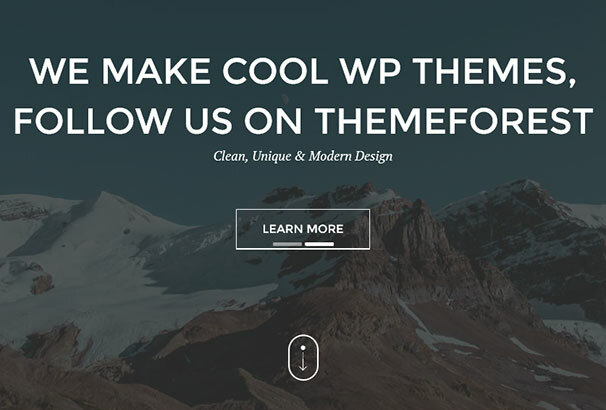 Inspiro is a clean and advanced WordPress theme for professional photography sites. The theme is jam-packed with tons of amazing features including a fullscreen slideshow, widgetized homepage and gallery module and lot more. SCRN is another theme that you might want to check out. It is a one-page responsive portfolio WordPress theme fully loaded with advanced features needed to run a modern site. The theme is cross browser compatible and works with the latest versions of WordPress. 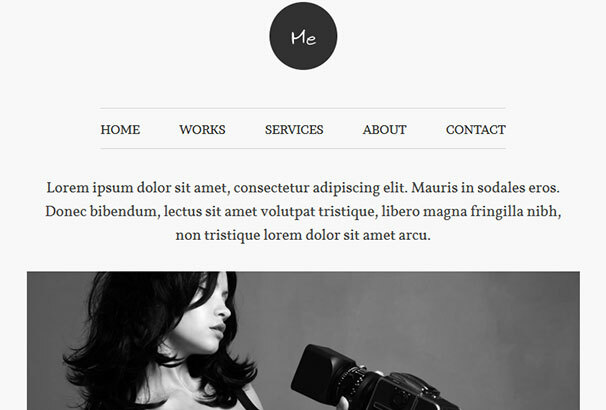 Me is a one-page theme designed for portfolios. It is a highly responsive theme high on visual elements making it a sublime user experience. The theme is very easy to customize with lots of features for showcasing your work. The graphics are Retina ready with editable categories and filterable elements. It also supports full-width background images and is fully compatible with most plug-ins. This theme has a very responsive design with an added capability of a video background. It comes as a one-page theme which can be extended for multiple pages. The custom widgets add lots of dynamism to your website. It is ready with Contact form 7 and custom shortcodes. Also handy are the filterable portfolio and Parallax background. It has been thoroughly optimized for Search Engines, which makes the theme perfect. This theme is a gorgeous and fresh design for creative websites, that will make your website look stunning. There are 600+ Google Fonts with redux framework for powerful theme options. The Revolution Slider 5 is also included for maximum visual appeal. There is four footer layout columns with fixed menu. 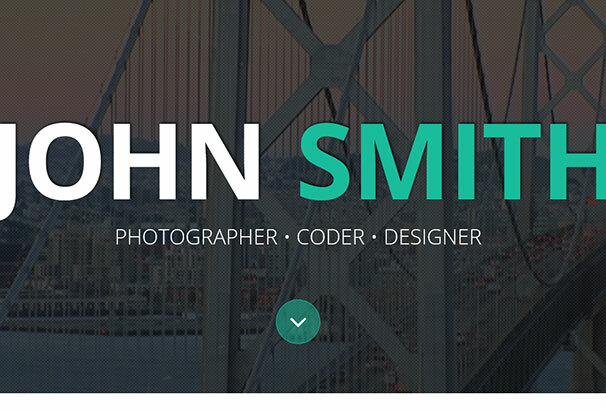 There is also a portfolio fixed row with masonry layout. It has 3 blog layouts for you to choose from. The theme is responsive and very lightweight. 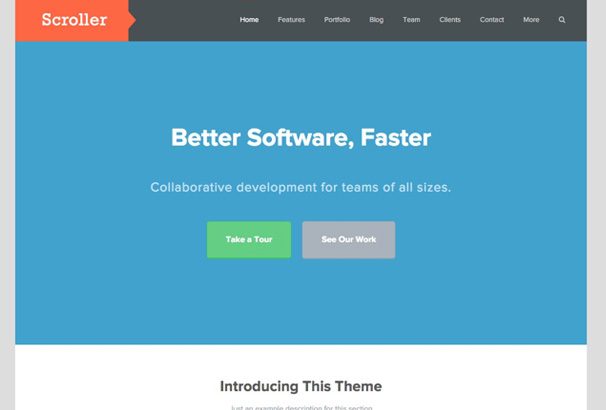 Prodo is a modern, elegant theme designed for corporate websites. It has 6 awesome Home sections and 9 Header variations for you to start with. The Parallax background and Video sections are its highlights with a lot of attention being paid to its intricate design. 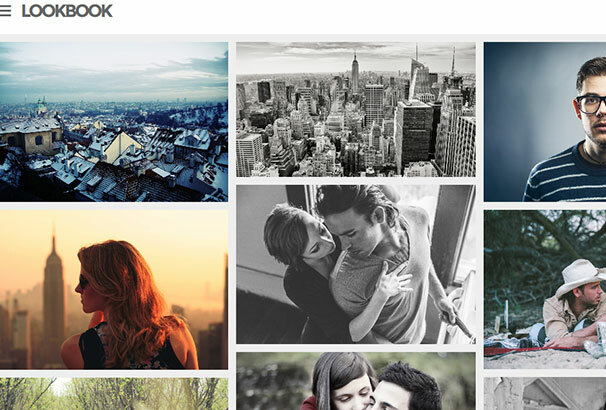 There are both standard and Masonry grid layouts for your blog with beautiful Retina-ready graphics. 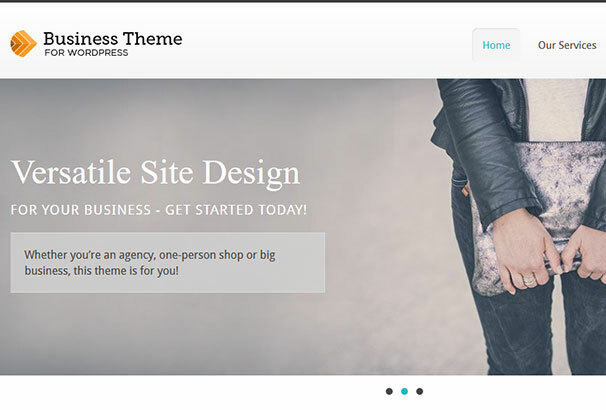 This highly responsive theme is among the best for your corporate or business website. This is a modern one-page multipurpose theme, built on Bootstrap Framework for high responsiveness. It is a clean, beautiful theme which can be customized to make it ideal for any website. Every component has been optimized for superior performance to ensure flawless smoothness on your site. It has all the premium plug-ins included, for example, Slider Revolution, Mega Main Menu etc. There is also a multipage version, should you require. You can also embed any YouTube video as background for your site, making it very attractive. Norris is an elegant theme which is suitable for a wide variety of niches. It comes bundled with 14 demo homepages which are translation ready. The design is clean and highly responsive with stunning graphics and retina ready. 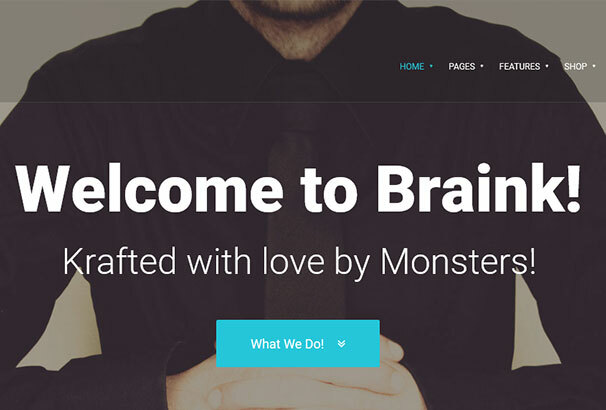 There are more than 100 options for customizing, with unlimited colors, 500+ Google fonts etc. They provide exceptional support as well so that you can put your vision into reality. 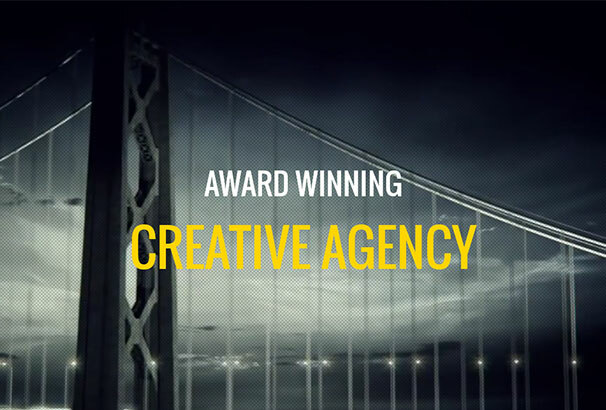 This is a multipurpose one page theme ideal for creative agencies or portfolios. It is fully responsive with retina ready display. Powered by the renowned Visual Composer, you can easily redesign the site according to your aesthetics. To add to it there is Templatera, a premium add-on for easy page builder management. There is a separate video section and powerful shortcodes to help you utilize the maximum out of this theme. 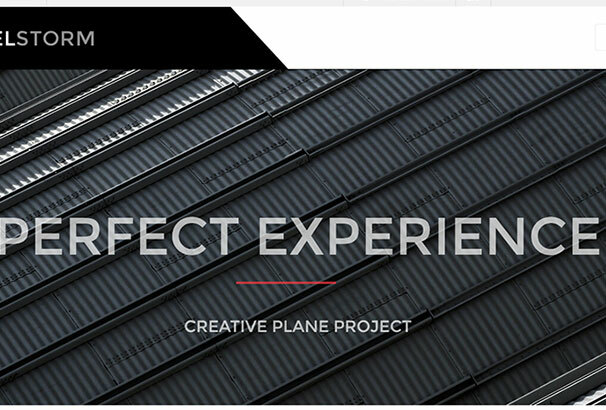 If you are an artist, freelancer, or a photographer this is the perfect theme for showcasing your portfolio. This theme features a fully responsive framework and retina ready display for high-resolution graphics with no loss of quality. It has a custom design parallax effect, which provides a powerful solution for displaying your artwork in the best way possible. Other features of the theme include custom portfolio layouts and custom blog templates which make it an awesome theme. This is a single page WordPress theme designed especially for small agencies to promote their business online with maximum coverage of clients. 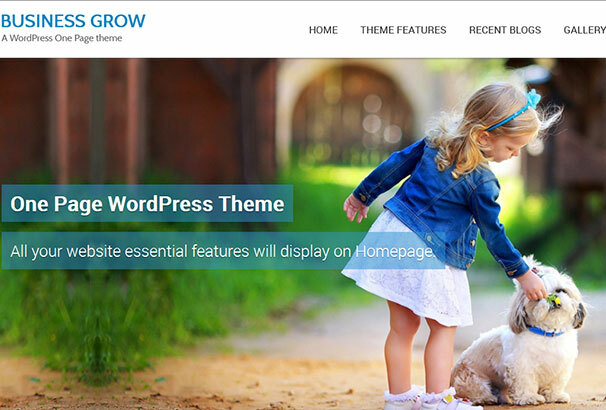 The theme is compatible with WordPress 4.0 and higher. There is an advance theme option panel for increased customization options. You will also be able to post videos, images etc, and the theme supports most formats. It also has an Ajax newsletter system and contact form. This is a multipurpose one-page Parallax WordPress theme built with the latest web technologies. It’s highly responsive design and infinite customization options make it a great theme for almost any niche. The parallax sections enable you to make your site as attractive and creative as you want. You can also set custom backgrounds for each section, making it unique and very distinct. 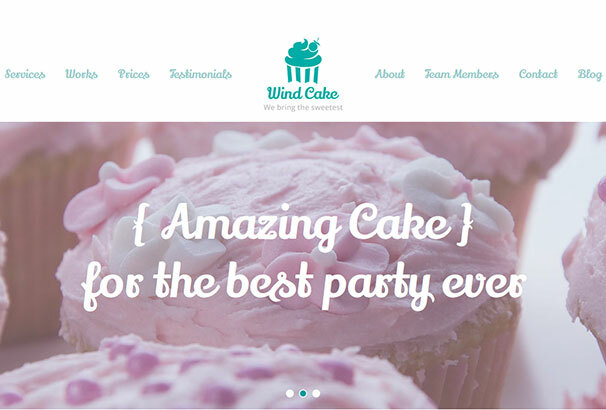 Wind cake is a cute and beautiful theme ideal for bakeries, gift shops etc. It includes 4 color schemes but could also select your own scheme using the colour picker to adapt the theme for different occasions. The theme comes translation ready with awesome graphics and a fully responsive design. The widgetized home page with advanced Admin panel enables you to have easy and complete control over every aspect of your website. 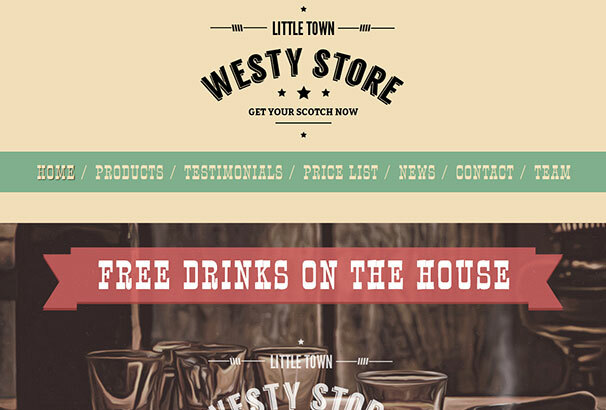 This is a one-page WooCommerce enabled theme with a distinct Wild West design. It has a rugged, retro design which will be appreciated by many. The custom page builder makes creating pages a joy. 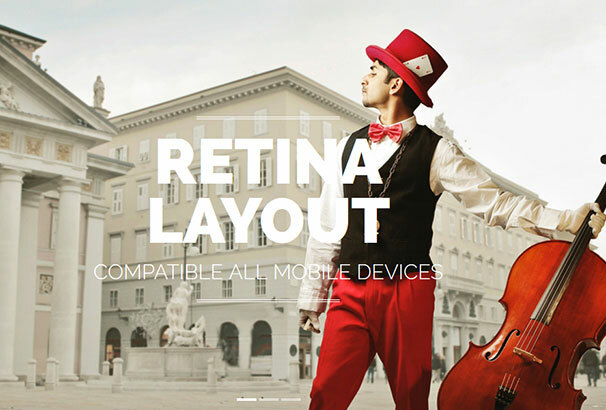 It also has Revolution Slider for the creation of the most vibrant slideshows. The admin panel is brilliantly made with distinct and proper sections for having ultimate control over the behavior of every component on your website. With unlimited color options, you can change the entire appearance with ease. This is a very well crafted theme, which is excellent in more ways than one. 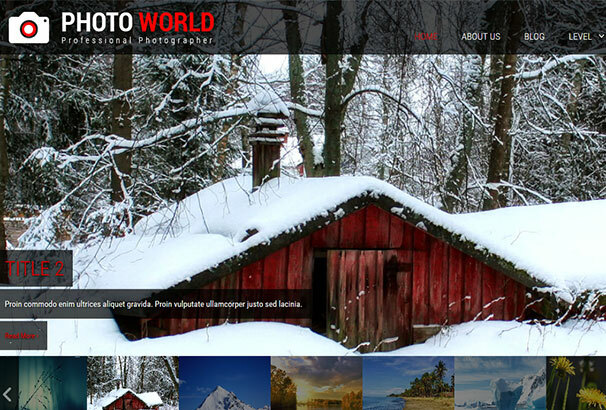 This is a one-page theme designed for photography portfolios. It has a flexible layout builder with eye-catching animation effects for an enjoyable user experience. To add to this experience they have also introduced a Like system with custom icons and Facebook commenting. It has unlimited background colors and custom images option. There are more than 13 widgets and 100+ shortcodes to make your life easier. The responsive design adds to the overall appeal of the theme, making it look magnificent from any angle. Affix is a modern, flat and responsive premium theme perfect for app-promotion, agency, portfolio etc. It has a full-width portfolio mode with a fixed or parallax background effect to showcase your work in the best way possible. 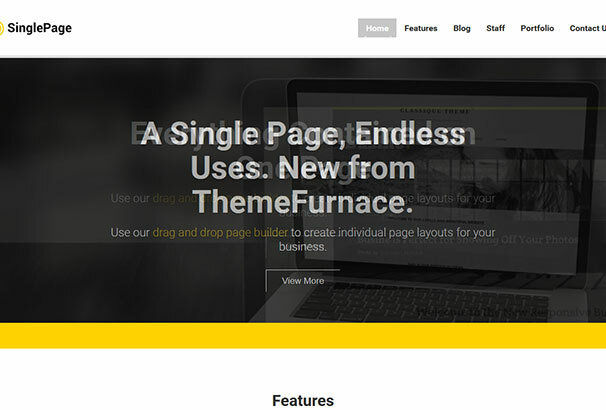 The theme also has an integrated page builder for creating pages and content super fast wherein you can change every element via drag and drop. The powerful options panel gives you full control over all settings. It also integrates multiple Google Map styles and features for you to choose from and edit as per your convenience. Overall it is an elegant theme, which can serve multiple purposes. 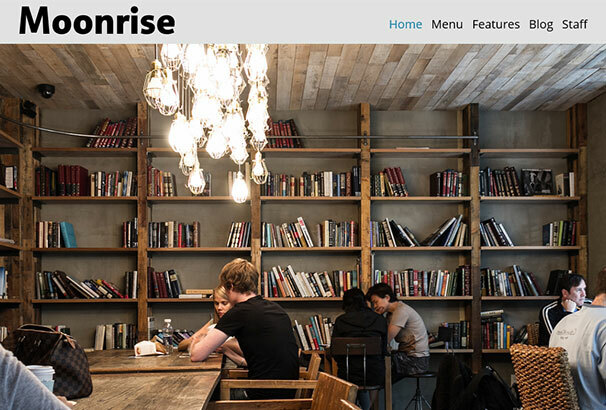 This is arguably the best theme for WordPress. It is highly flexible and comes to WooCommerce ready. There are also 12 unique Home Page variations which in itself provides for everything you may need. On top of that, you have unlimited skins, full-screen slider, Revolution slider and huge customization options. They have also integrated YouTube and Vimeo to provide their video plug-ins. It is optimized for high performance with breathtaking looks. Jarvis sets a precedent in theme development and is worth every penny that you spend on it. My name is Alexandra and i am part of the ThemeIsle team and i would like to thank you for including Zerif Pro and Llorix in this article. Thanks for sharing amazing one page theme list. 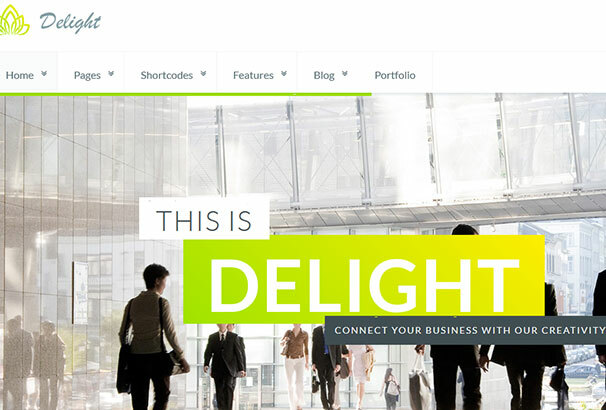 I would like to recommend one more theme which is business related one page theme and it is Biznetic. It contains various features like Sticky Header Menu, Translation Ready, SEO Friendly, Blog Ready etc.